TECOMATE,Guerrero--Just minutes after someone harvested some coconuts for us from a palm tree, one of our guides quickly took care of business. 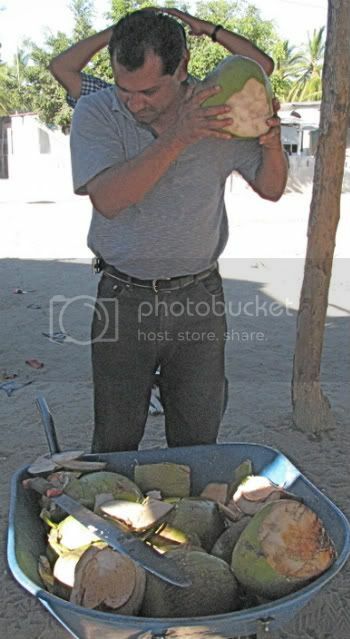 Here he shakes the coconuts to listen to the water inside, which tells him whether the coco is ripe. He then cut a little hole into the coco where the water comes out. The results? Delicious clear and almost carbonated coco-soda tasting water.